At this point in their careers, Tokyo Police Club may have the record for longest active band in the history of Newmarket, ON. This week they extended their legacy with the release of the new album Forcefield. 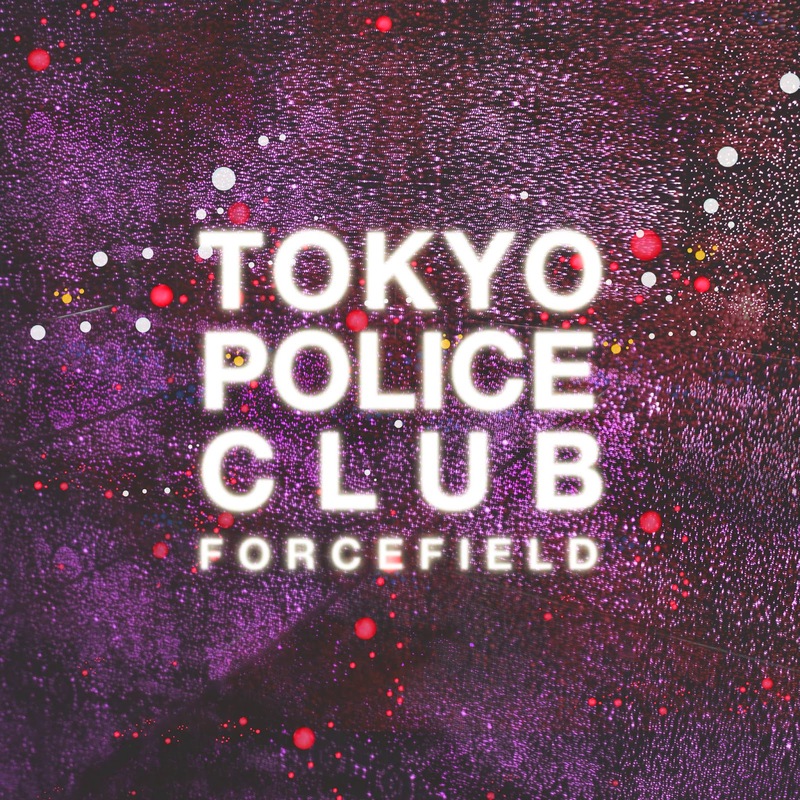 Over the course of the last couple of albums, Tokyo Police Club have made us expect synth-based indie pop with a slight twist. The songs on Forcefield are more straightforward, for the most part. The shimmering synth on "Beaches" conveys a strong '80s aesthetic, while songs like "Miserable" and "Gonna Be Ready" are fairly unsophisicated (yet enjoyable) pop ditties. The band will likely have a full-fledged summer hit on their hands with the bright "Hot Tonight". There are a handful of tracks that are more stealth in their pop. "Toy Guns" has a marvelously camouflaged hook, while "Through the Wire" lulls you with it's relaxed tempo and vibe, but will have you toe-tapping by its conclusion. Once you get passed the slashing Cylon attack synth line of "Tunnel Vision", there is a sugary pop centre. The most unexpected track on the record is the 8 and a half minute long "Argentina". It's a bold move to kick off your album with a lengthy, multi-movement song that morphs musical styles multiple times as it reveals itself to the listener. Forcefield is a fun, tight record that should help make the sunny spring days seem a little bit brighter and warmer. It's a solid seasonal soundtrack. Best tracks: "Hot Tonight", "Toy Guns"